You might have to train your taste buds to get used to horse meat soon, because FYI: The U.S. government just approved the operation of horse meat slaughterhouses to produce meat for human consumption. New Mexico, Missouri and Iowa are just some of the areas where horse meat plants are expected to be approved by the USDA. 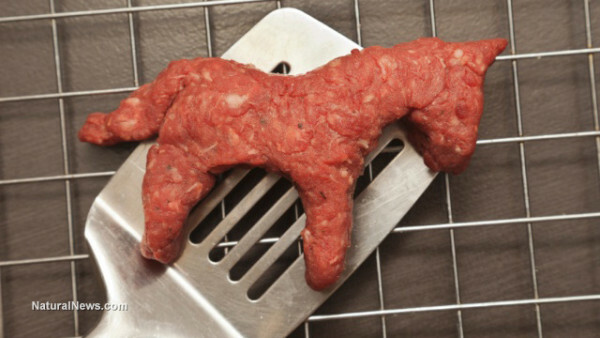 While horse meat, technically, can’t be legally sold in the United States for human consumption, it may still turn up in the US food supply because it can be sold to Mexico, then re-labeled and shipped back to the USA as a low-cost meat filler. This has already been documented occurring in Europe, where meatballs sold in European grocery stores were found to be made with horse meat. Where do these horses come from? While horse meat slaughterhouses were banned during the Bush Administration, the ban expired in 2011 under President Obama’s watch, thereby allowing horse meat slaughterhouses to restart operations. Reuters claims that around 130,000 horses are slaughtered each year in Canada and Mexico — and it seems the United States wants a huge chunk of that business, as well. Not-so-fun fact: Most horse meat come from horse owners who decide to have their horses killed for a variety of reasons, such as illness, injury, or simply because they cannot afford to keep their horses fed and cared for anymore. Many of these owners sell their horses to slaughterhouses for an incredibly low amount. Yep, you read that right: They allow strangers to haul their horses away to a meat packing plant, only to be slaughtered mercilessly around several other screaming horses. Do keep all this in mind the next time you consider buying a horse for your family. Raising one requires a tremendous amount of effort, so be a responsible horse owner. Don’t let your pet get slaughtered once you get tired of it — because if you do, it might eventually end up on your plate the next time you purchase some meatballs for your spaghetti.